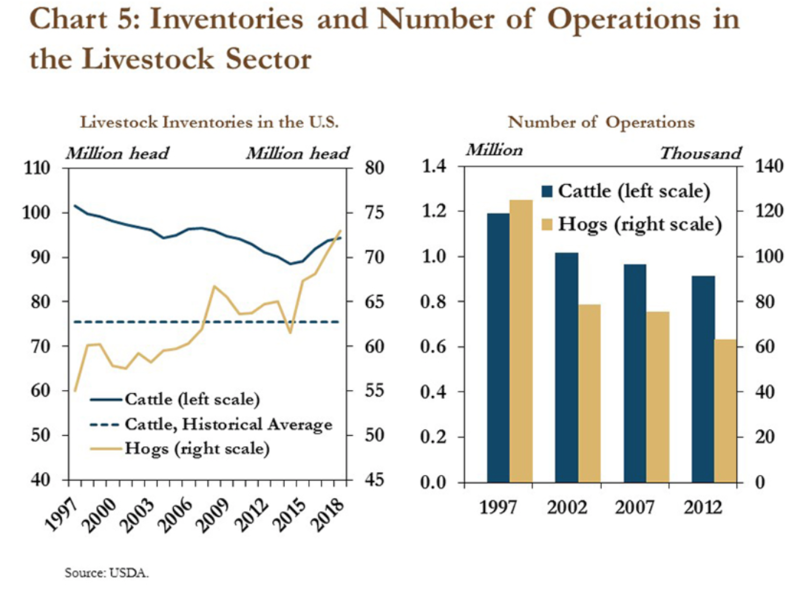 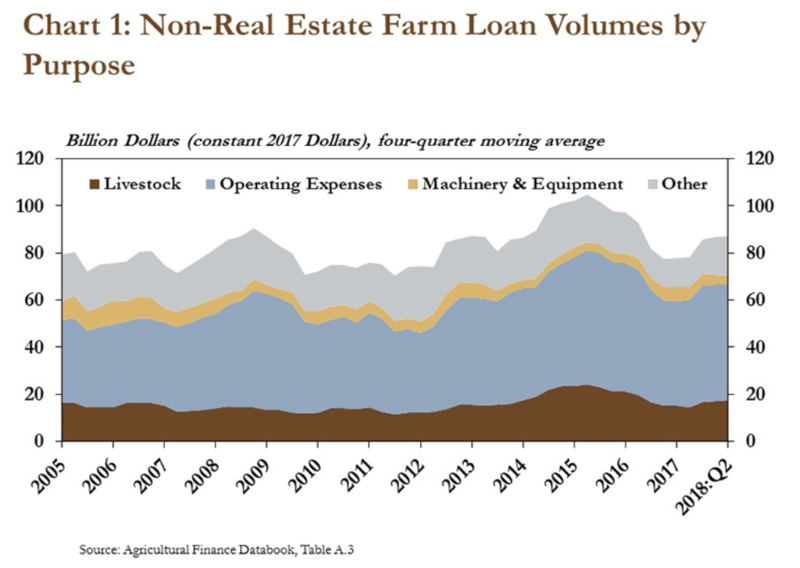 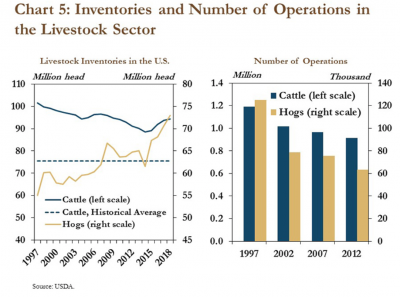 “Large Loans for Livestock Drive Uptick in Farm Lending,” by Cortney Cowley and Ty Kreitman. 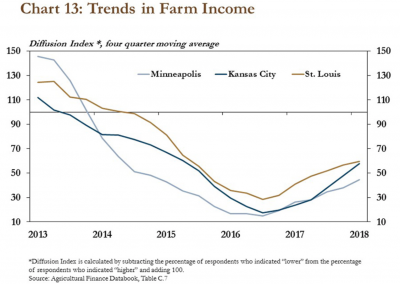 The Federal Reserve Bank of Kansas City (July 20, 2018). 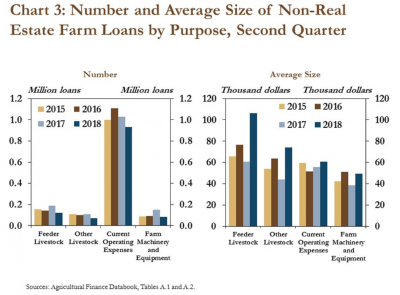 Friday’s update pointed out that, “Despite fewer loans being originated in the second quarter, larger loan sizes, particularly for livestock, supported higher total loan volumes. The number of livestock loans originated in the second quarter declined 35 percent, on average, compared to the previous year. 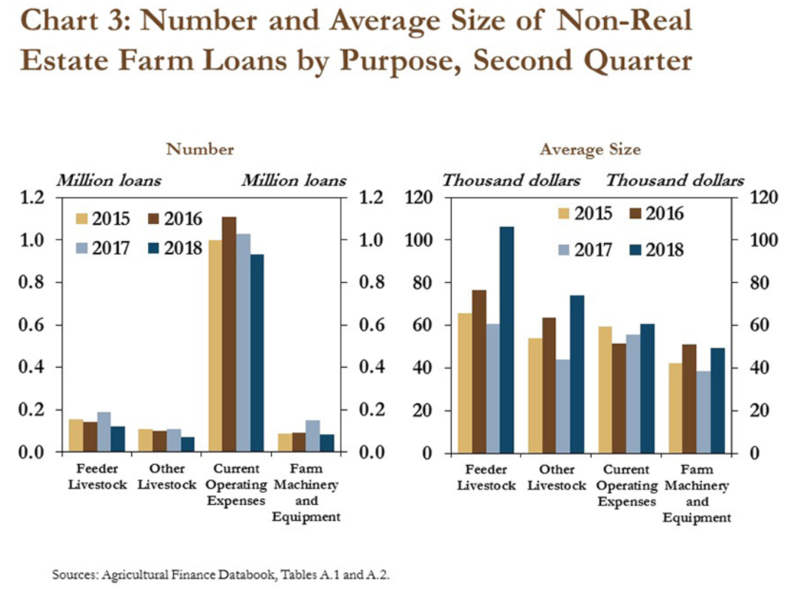 However, the average size of loans for feeder livestock and other livestock increased 75 percent and 70 percent, respectively. 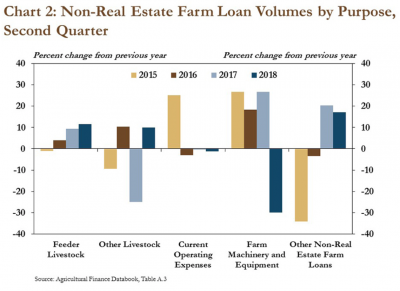 While addressing farm income variables, Friday’s update stated, “Financial conditions for farmers also showed some signs of steadying in the first quarter. 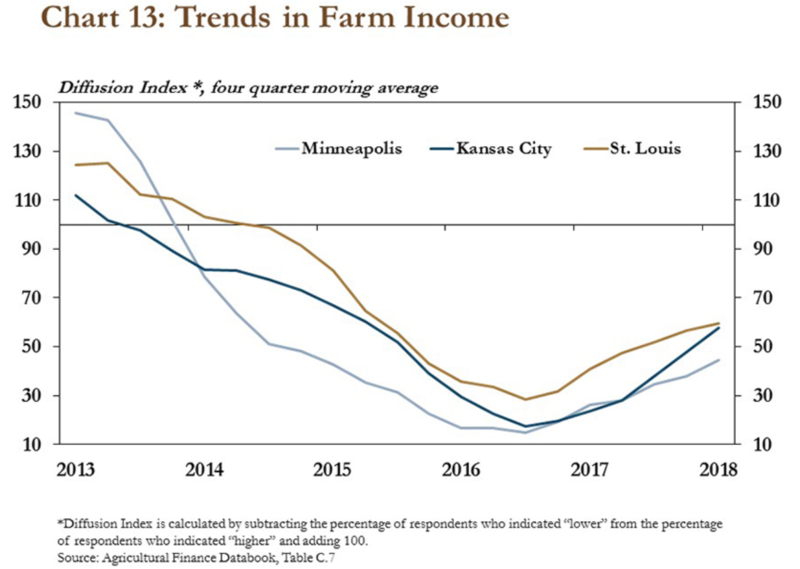 Since reaching historical lows in 2016, farm income has stabilized over the last four quarters in the Minneapolis, Kansas City and St. Louis Districts. 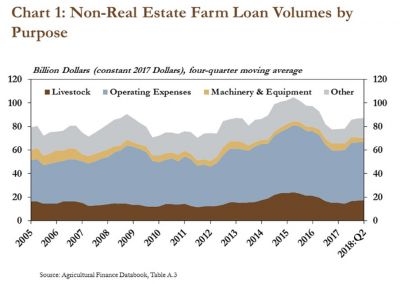 Recent declines in the prices of key agricultural commodities could lead to further reductions in farm income, however, and expenses generally have remained elevated.